My third day started at Capul Island, Northern Samar (please check Capul Island itinerary). At the Grand Tour Terminal, in Allen, Northern Samar, I took a van bound for Calbayog City and alighted at their own terminal in the city and then, another van ride to Tacloban City. From the terminal, I walked a few meters to Mc Donald’s where I took a jeepney ride to HIS Capsule Hostel in Fatima Village, with “Robinson’s” signboard. Using Google Map, I tracked the route of the jeepney and alighted in front of HIS. Upon arrival at HIS Capsule Hostel, I was welcomed by their accommodating receptionists. Provided the house rules and booked. The facilities of HIS Capsule Hostel are clean and organized. They have double deck beds, separated by walls and the opening is covered with curtain (for privacy). Ventilation and air-conditioning units are well. They have small cafeteria where you can socialize with the others, shower rooms are with heaters, and toilets are clean and well maintained. They even have lockers to secure your belongings. In my 6 Days Solo-Backpacking in Region 8, they are the most accommodating hotel staff. I asked them several questions and they responded on time (THUMBS UP!!!). When everything was settled, I left my stuff in the locker and proceeded to McArthur Landing Park. How to get to McArthur Landing Park from HIS Capsule is easy. In front, I rode in a jeepney with “Robinsons” signboard and alighted at the mall’s parking area. The same spot, rode in another jeepney with “Campetic” signboard and alighted by the BIR office. Instead of riding in a tricycle, I walked the 1.30 kilometer street to McArthur Park. 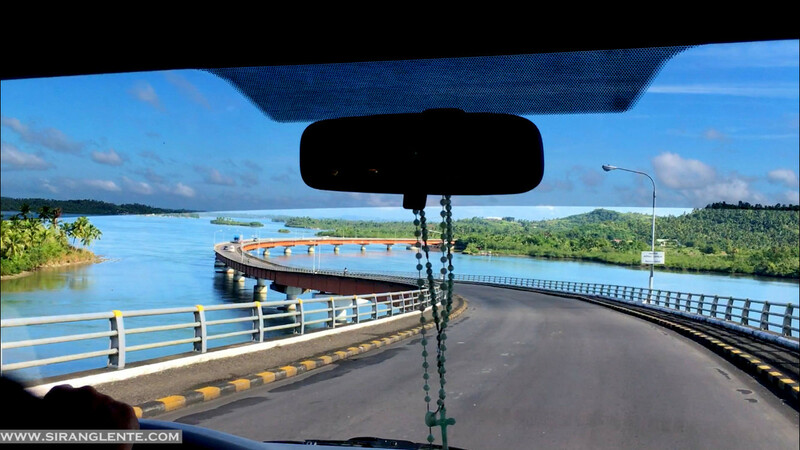 The San Juanico Bridge - photo above was taken while in the van. Another landmark and a certified tourist spots and destinations in the Province of Leyte is the longest San Juanico Bridge, connecting the province of Leyte to Samar; this bridge was built during Ferdinand Marcos administration. 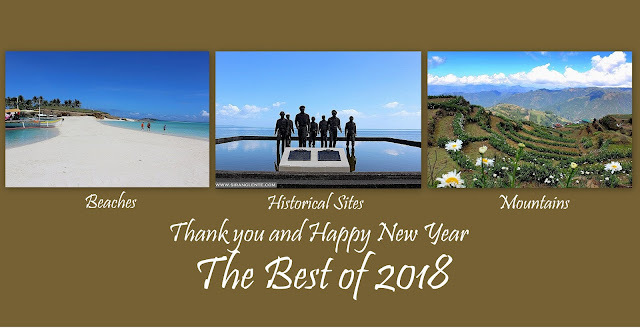 Inaugurated on 02 July 1973, it served as a gift to Imelda Marco’s birthday. Today, this bridge provides a huge help to the region’s means of transportation and at the same time, it invites more tourists and visitors. Below are the actual itinerary and expenses during my Region 8 Solo-Backpacking. From Tacloban Airport, by the entrance, you can ride in a jeepney to “Downtown” and tell the driver to drop you off by the intersection to “Robinsons,” in front of Caltex Gas Station, and then cross the highway. You can either ride in a jeepney to Robinson’s or walk (it might be 500 meters). At Robinsons, you can ride in a jeepney with “Campetic” signboard and alight by the BIR Office.